As a fun little side project, I created some Rubber Ducky themed PDF printable nameplates. I may actually use these in my classroom this year, as my theme colors are turquoise/teal, lime, and black. If you're interested in having these in any other color combination, please feel free to contact me on the teacherspayteachers comment section for this item! :) I may turn this into a whole theme at some point when I have more time. Click on the photo or here to get to the link. If you live in a tiny place or just don't have enough storage in your home, you may end up with a pile of "stuff" in a corner. OK, it's neatly stacked up and it's in storage bins, but when it's in a room you frequent every day, it might ruin the visual appeal of the room. 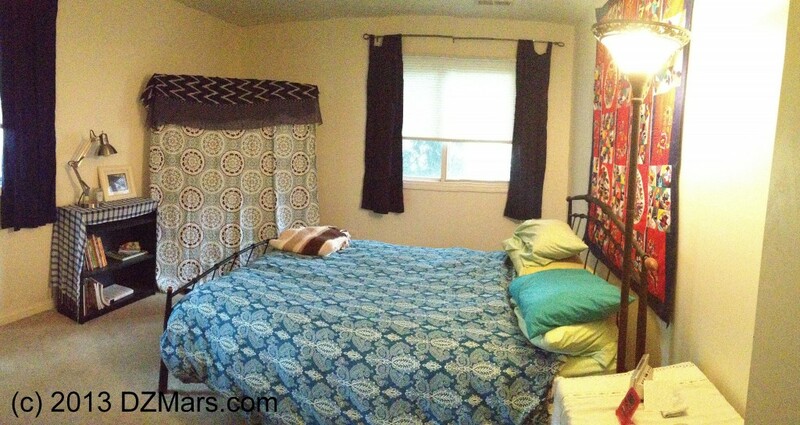 Here's how to make a quick fabric storage panel / curtain (also works as a freestanding headboard for a bed! ), with no tools, little time, and if you plan it right, for under $45. You can probably put the whole thing together in under 20 minutes, which is great for the "instant gratification" DIY set (of which I am part). First, set up the garment rack according to the directions in the package, but do not install the wheels. If you do install them, you'll be able to see under the curtain. If you prefer to have that look going, put them on and nothing terrible will come of it! Extend the side bars at the top of the garment rack to make it was wide as possible. Next, hang up the curtain, using the curtain hooks. You may have to spread out the hooks on either side of the vertical support poles in order to make the curtain lie flat or close to it. At this point, you can adjust the vertical poles to fit the shower curtain size if it does not look "right" or lie how you would like it to do so. Finally, lay the scarf across the top of the bar, draping it to cover the bar and the curtain hooks completely. Adjust it so that it looks appealing to you. 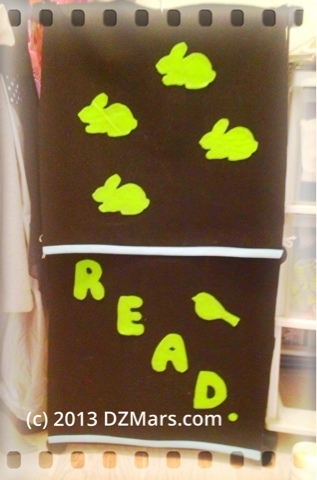 If you are concerned that the scarf will fall off, use binder clips to attach the scarf to the curtain on the back side of the panel. Drape the bottom of the curtain so that it covers the feet of the garment rack. 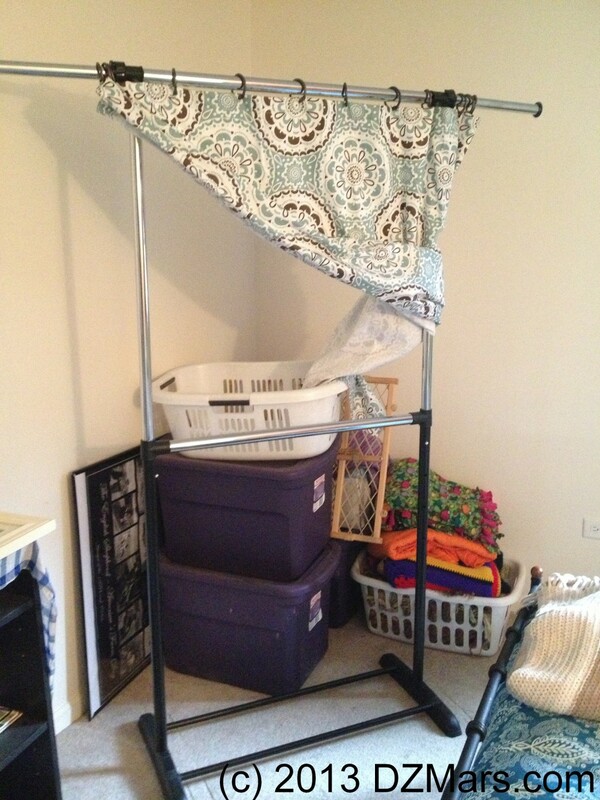 Position the garment rack so that it hides everything you need to hide in the corner. It's light, it's easy to move around, it's not permanent, and it's easily washable. 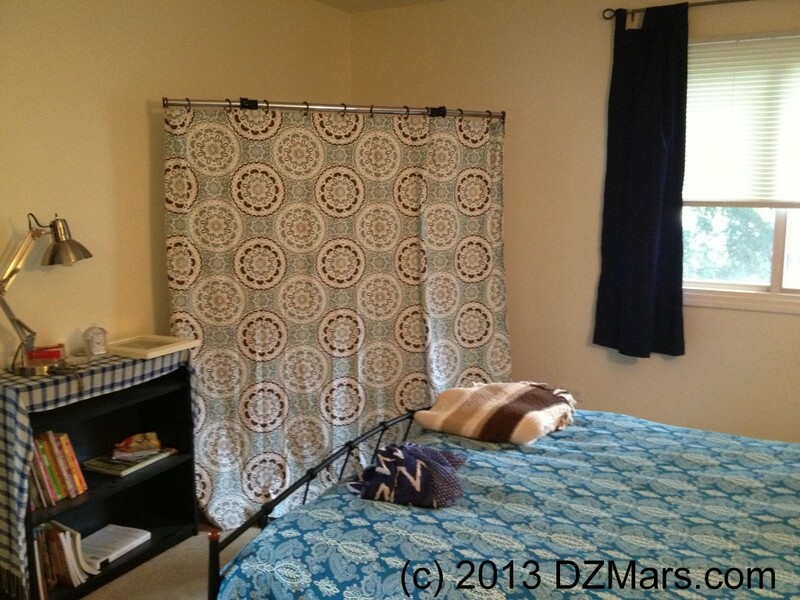 If you get tired of the design, shower curtains and scarves are cheap and plentiful in thrift stores and online. 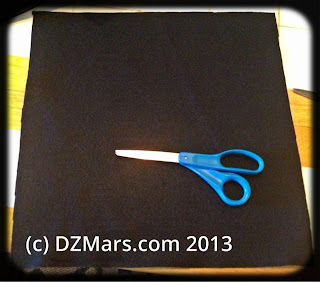 Take black butcher paper and cut to desired size. Put a border at the bottom. 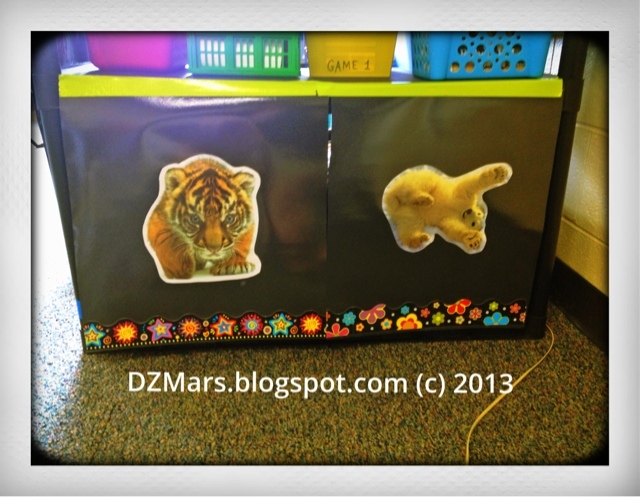 Attach with a strip of color-coordinated duct tape to the shelf above. If you're working with a very wide shelf, it might be a good idea to make separate "doors" that are half or 1/3 of the width of the shelf. That way, you don't need to lift a long, heavy flap. Just lift the little door you want to move. As an added bonus, you can say, "Hey, Joey, go get a dictionary. They're behind the tiger!" Covered back side of my (sagging) utility shelves. 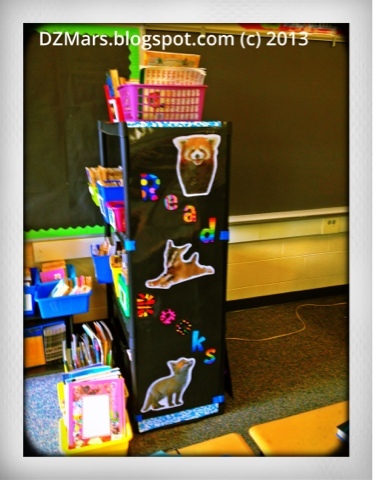 I store class library books on the other side and mini-books on this side. 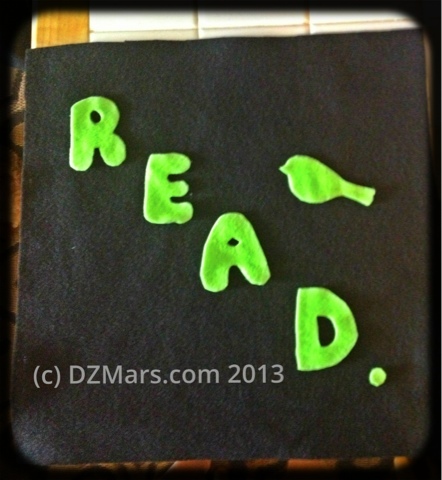 So, I'm covering the shelves on this side, since the kids don't need to see the mini-books. I'll eventually cover the top shelves as well. 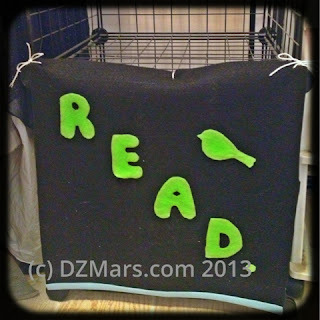 Easy Felt Curtains for Classroom Storage Crates and Cubes. 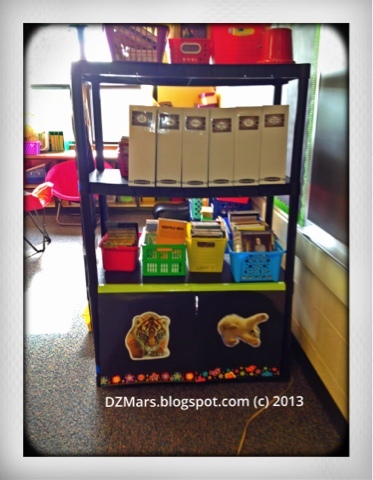 So, this year, I'm trying really hard not to spend a ton of money on my classroom. I think last year, I spent well over a thousand dollars, which is kind of silly. This year, I want to totally change my color scheme (from every color known to man in a dizzying melange guaranteed to induce hyperactivity) to teal/lime/black. I'm hoping to accomplish this with spray paint made for plastic (Rustoleum in light blue and lime green) and black background paper. I reallllly want to buy black fabric, but I don't want to spend even more than I'm already spending. I've been asking around for those cruddy wire shelving storage cubes that get put together with the corner connectors. Everybody seems to have some to give away because they fall apart. The trick is to use zip ties to connect them together. The other issue is they're ugly and you can't hide anything in them. So, I wanted to make curtains for them, but I didn't want to sew. I came up with these easy, fuss-free felt curtains you can use to cover junk in any shelves, crates, or storage cubes. First, measure the opening or side you'd like to cover. Most wire storage cube like this are 14.5" x 14.5". Make a paper template this size. Cut it out. 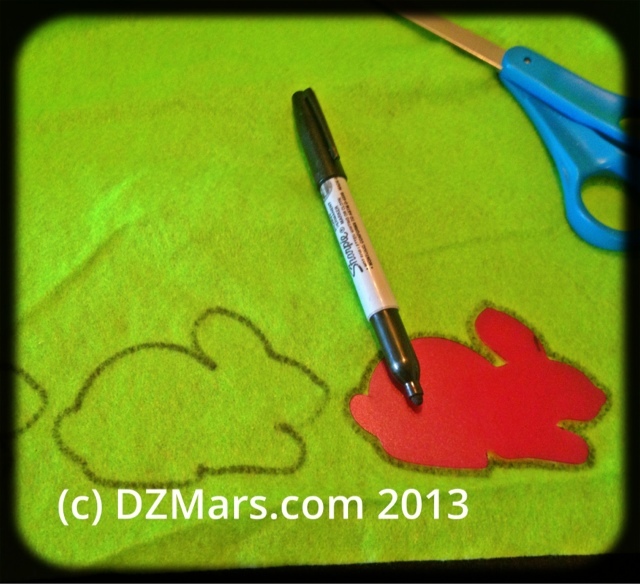 Next, place it on the main color of felt you are using, and cut around it. 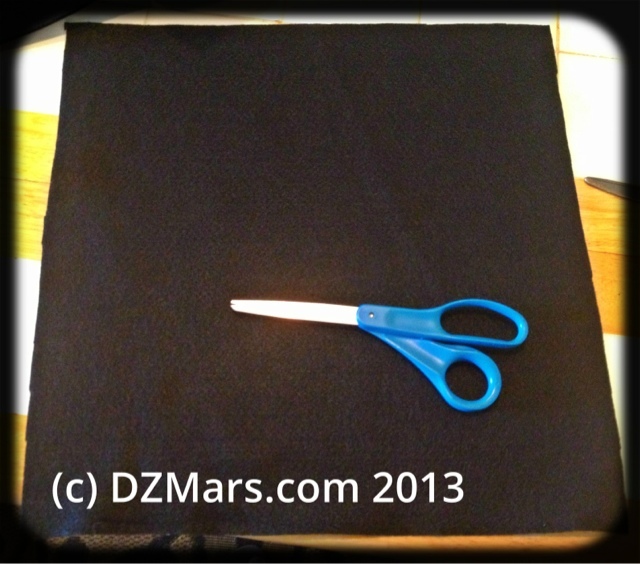 You should now have, surprisingly, as piece of fabric that is the same size as your template. 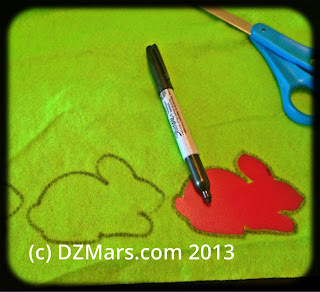 On the contrasting fabric, use the sharpie to stencil the designs you want to put on your felt curtain. I would suggest putting the template on the side of the felt you don't want to see, so that any leftover marker lines are on the back. In other words, put the stencil backward from the way you want it to show up. 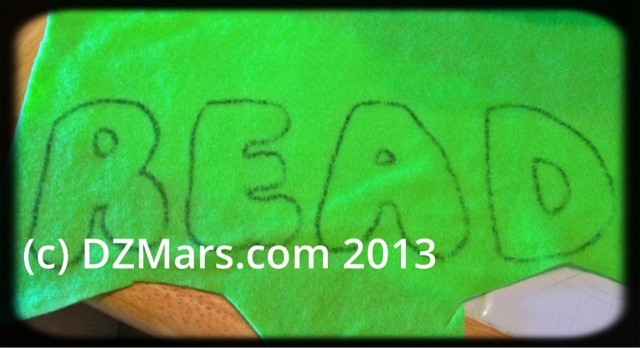 Alternatively, you can freehand some letters or a picture. I really didn't feel like trying to make the letters backward, so I just made sure to really get rid of the marker lines when I cut them out. 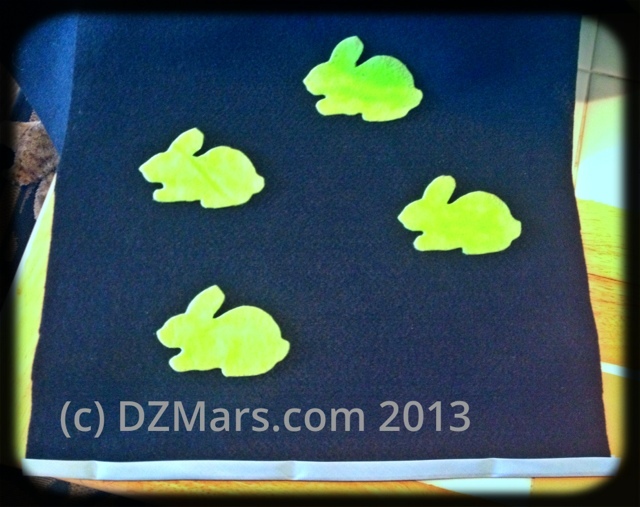 Lay the cutouts onto the felt and try out different layouts until you find one you like. I suggest leaving the outside 1" of each side empty in case you need to trim off some edges. Once your layout is how you like it, take the Tacky Glue, paint it on the back of each piece, and stick the pieces where you would like them. 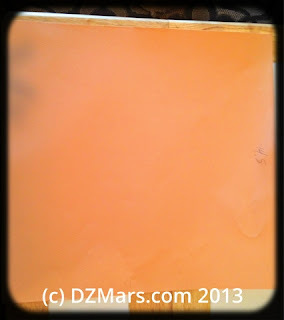 Using the Tacky Glue, apply the border to the edges you would like to cover. I used double fold bias tape. If you decide to use this, and you put the edge inside the tape like I did, I highly suggest gluing the back side first, as it is harder to do the first side and it will get messy. After that, the tape will be stuck in place and it will be easy to do the front. Using ribbon or that trim with the little balls hanging off of it would be easier. Make three slits in the top edge of your curtain. Be smarter than I was... mark the proper placement for the slits first. I randomly did it, and they were too far down, and not the right distance apart. Hence, the wonky look. You do not want this wonky look... :) Using ribbons or zip ties or fancy cord, connect the top edge of the curtain to the top opening of the storage cube or milk crate. If you have a solid shelf with nothing to attach it to, make a small loop of ribbon for each slit and pass a strip of matching colored duct tape through the loop to tape it to the shelf. As you can see, I used cheap twine I found in my bedroom closet. Why? Because this wire shelf is actually in my bedroom closet and I am not keeping these curtains in here, and I don't mind throwing away the twine later after I cut it. Those curtains in my closet would be weird, let's face it. I tried to crop my drawers of unmentionables to the right in the photo. I think it worked well! 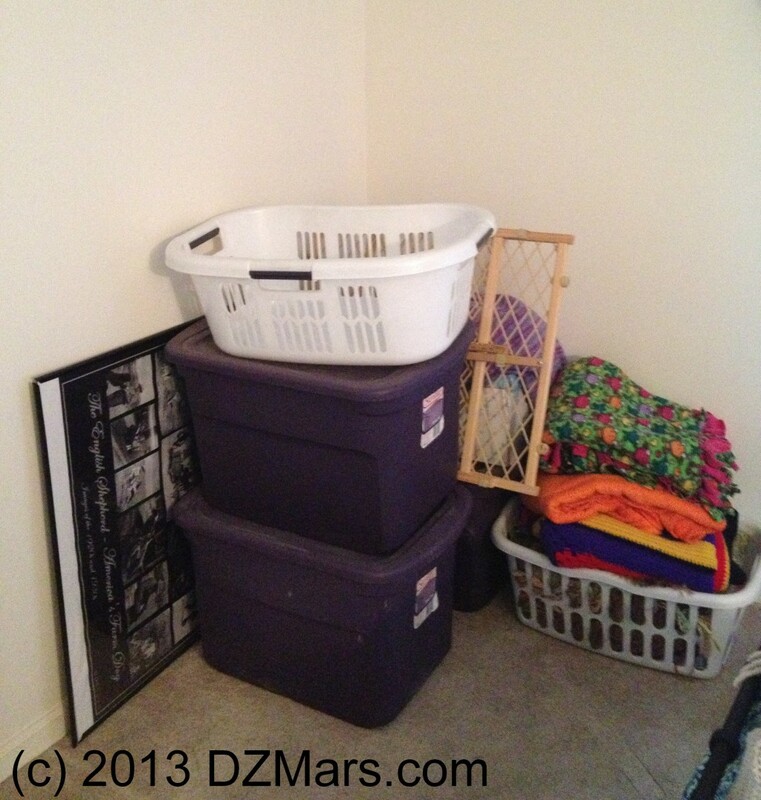 Continue covering the openings of the shelves and crate with more curtains. Again, measure carefully when making the slits at the top. Look at how silly the top looks! So silly that I tried to mask it out with the lovely, artsy film layout!! If you're low on cash, you can also make these out of posterboard or those large rolls of butcher paper, and put it through the laminator if you have one to use for free at school. I have a large utility shelf from Wal-mart that is freakishly ugly but holds a ton. I will be using butcher paper with paper cutouts, laminated, as my covers for that, just because it would cost a fortune in felt to cover it. Hope this works for you! Feel free to link up your curtains so I can see how they turn out! Here are several days' worth of activities and plans that are compatible with Lessons 1 a,b,c of Discovering French Bleu (lesson numbers are for Nouveau edition, although it is the same vocab as in previous editions). Includes the following topics: basic greetings, introductions, number 0 to 69, how to ask from where people originate.